Back in 1961, the community of Ulukhaktok (formerly Holman) began producing art. While the effort lasted almost four decades, it unfortunately served as a cautionary tale about what happens when strings are being pulled from outside the community, without sufficient local involvement. Instead of focusing on the development of the artistic talent that was clearly present, the push was to create art that would appeal to collectors – art that would closely resemble what was being produced in other, higher profile hubs such as Kinngait (Cape Dorset). By the year 2000, the production of art was no longer viable. But fortunately, the story doesn’t end there. There’s a major new program funded by the Canada Council for the Arts to bring a full-scale revitalization of the community’s long-shuttered printmaking capabilities. And we’re honoured to be a part of this process. On February 4th, 2019, Pat Feheley is accompanying Alysa Procida of the Inuit Art Foundation, Curatorial Consultant Heather Igloliorte, and Canadian Art Producers General Manager R.J Ramrattan on a trip to Ulukhaktok. Once there, the emphasis is on creating an open dialogue with all the local artists to explore the possibilities around rebuilding printmaking in the community. The equipment remains, but it hasn’t been used in many years. So part of the assessment is of the viability of the existing studio facility. The historic significance of the studio came to light last year when the safe was opened after almost two decades. What lay inside was a testament to the remarkable work produced within those walls – literally hundreds of drawings dating back to the studio’s earliest days. A treasure trove. That collection is being archived and digitized as a community asset. 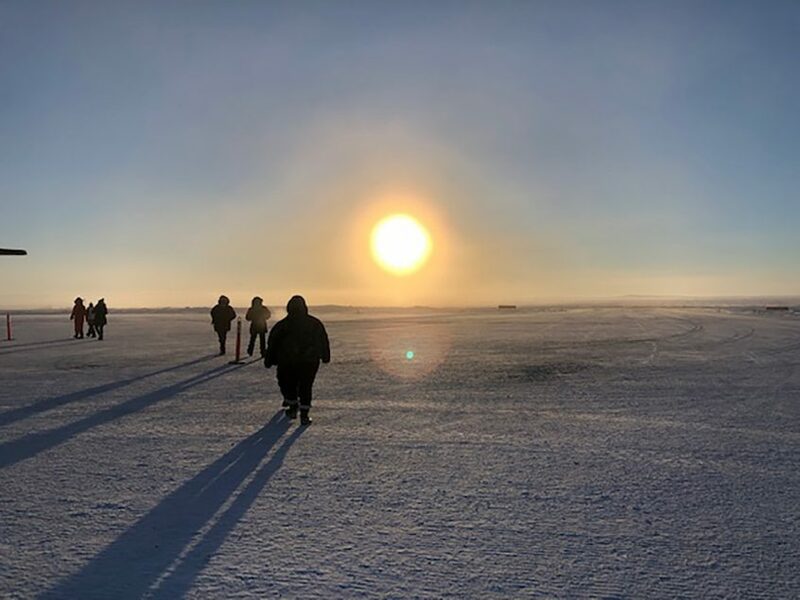 It will serve to inspire another generation of artists in Ulukhaktok who will hopefully help revive the artistic culture in a way that synchronizes with the social goals of the community. Check back on in this space soon for a report from Pat on the progress of the trip. Pat Feheley will be in Ulukhaktok from February 4th-8th as part of the program for the Revitalization of Graphic Arts in the community.